The Bugatti Veyron has got the most of everything. The most speed at 267 mph (the SuperSport that is). The most numbers on a pricetag at $2.4 million. It’s even got the most expensive tires, coming in at a shocking $42,000 for a set of four! So you’d imagine that the price to rent one of these for one day would be astronomical, right? Um yes, very right. Very right as in $25,000 for just one day’s use. $25,000!! The company who is risking putting this Veyron in the hands of wannabe Simon Cowells is Beverly Hills Rent-A-Car from Beverly Hills, California (really, where else?). 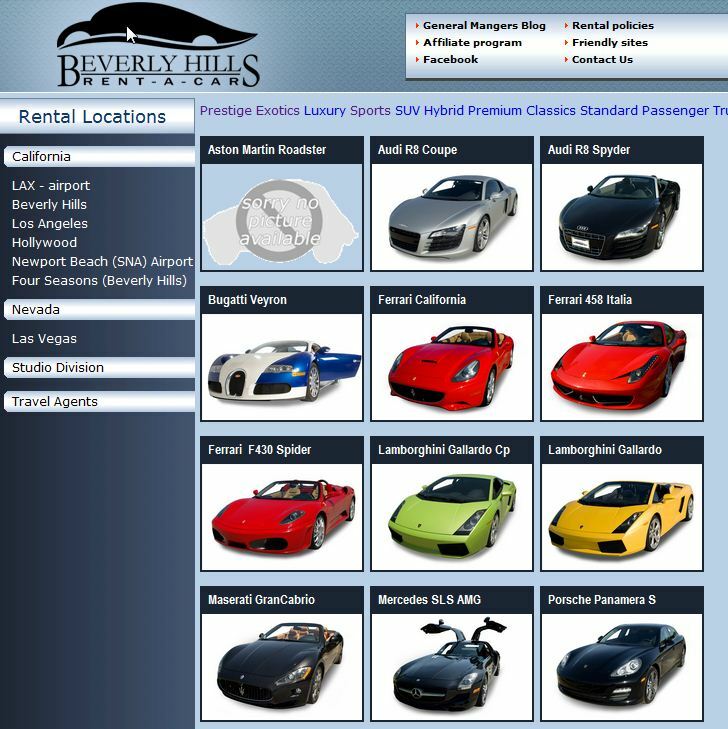 As an exotic rental company, they of course had a wide selection of other supercars including the new the Ferrari 458 Italia and the Mercedes SLS AMG. For comparison purposes, we looked at the price to rent those for a day next to the Veyron’s $25,000. Both came in at a very small fraction of the price, with $2,299 for the Ferrari and $1,499 for the Merc. Besides the rental price of the Veyron, you’d probably end the day with a gas bill of about the same magnitude. Would you rent a Bugatti Veyron for $25,000? Kirill Yelkin on February 5, 2011 at 1:48 am.